Did somebody say ice cream? 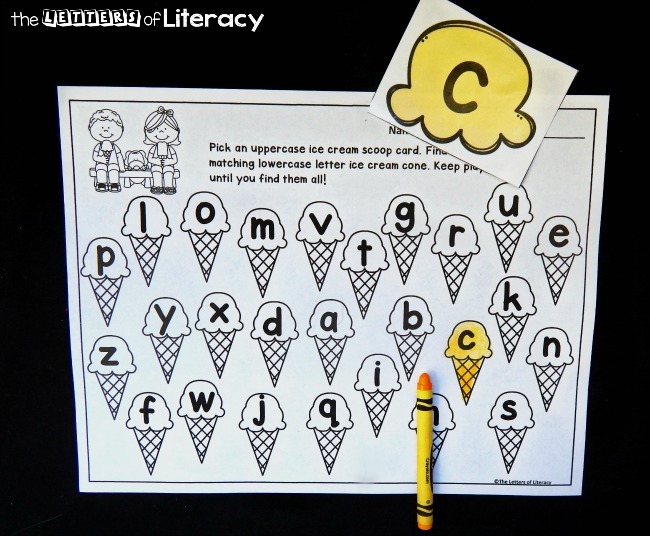 I think if I let them, my kids would eat ice cream everyday in our classroom. 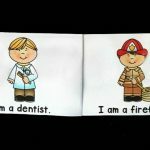 Since we can’t exactly do that, we enjoy it in other ways through fun and games! 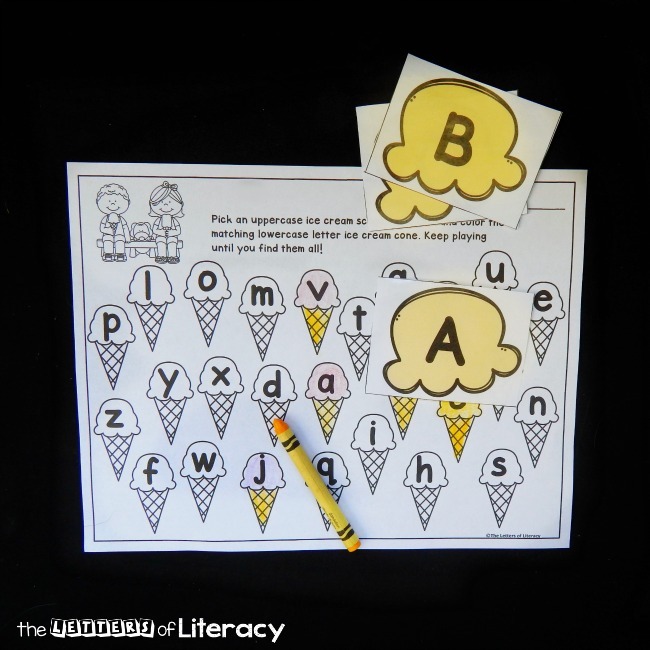 Treat your little ice cream lovers to alphabet fun with this ice cream alphabet match. It is sure to be a hit! 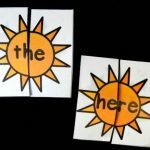 This game makes a great literacy center or small group activity. 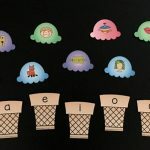 I simply printed out the ice cream scoops and laminated them (so that we can use them several times) and then I made sure each kid playing had a copy of the recording sheet. If you play in a small group, you can share the ice cream scoops, so you only need one set of those. Then it was time to find the lowercase letter that matched! 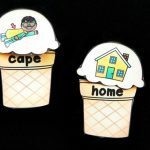 After locating the matching lowercase letter ice cream cone, we colored it in. Then we picked up another card and kept going until we had matched up all of the letters! If this is your first time playing, and you are playing in a group, you could have your small group take turns picking up cards and you all find and color the one chosen. 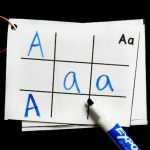 If your kid is playing solo or your kids are familiar with it, just place the cards in a basket and let them have at it and work independently! Ready to scoop up some fun of your own? 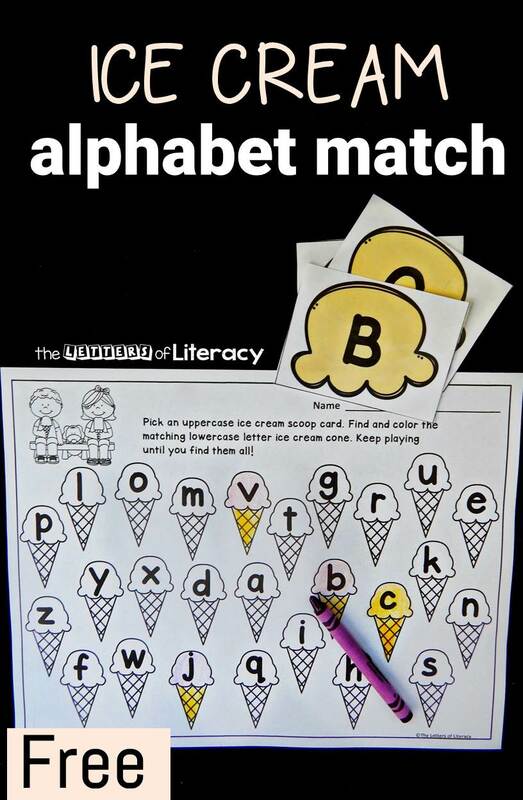 Grab your free copy of the ice cream alphabet match game below! 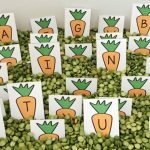 For more alphabet fun, grab our printable alphabet carrots and create a peas and carrots alphabet sensory bin! Or, try it pond style with our alphabet matching pond! 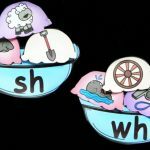 For tons of printable resources and games for every letter of the alphabet, head to our shop and grab our Alphabet Experts MEGA Bundle! 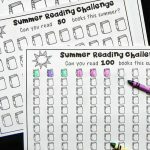 Great activity!! Thank you so much!